Ever heard of a natural elixir that could benefit your body tremendously by keeping you hydrated, aiding in weight loss and leaving you looking younger than ever? Well, most people say it’s water, but there is another natural drink that has several nutrients that benefit your body and this drink is known as “coconut water”! This natural drink is found in coconuts and tastes great while ensuring that it replenishes your body during the scorching heat and leaves you refreshed and hydrated. Most people spend loads of money on expensive energy drinks and end up consuming a large number of calories as these drinks are loaded with sugar and can contribute to weight gain rather than aiding in weight loss. Therefore, it is best to use this drink as an alternative as it acts as an energy booster thus making it the perfect drink after a vigorous workout session. Moreover, it has very fewer calories compared to any of the sugar-loaded energy drinks and is high in minerals thus making it the ideal energy drink for aiming to lose weight. This amazing drink is not only an excellent thirst quencher during the scorching hot summers, it is also a great substitute for water and can be included in several recipes that call for water, in order to add an extra touch of nutrition. You can find several coconut water recipes online that use this excellent drink as a substitute for water. It can be used in smoothies, desserts and even include it in the regular curries and fruit juices that you consume on a daily basis. During the scorching hot summers, people tend to experience a great number of health-related issues that occur as a result of dehydration. Therefore, it is very important to ensure that you keep your body hydrated by drinking water regularly. 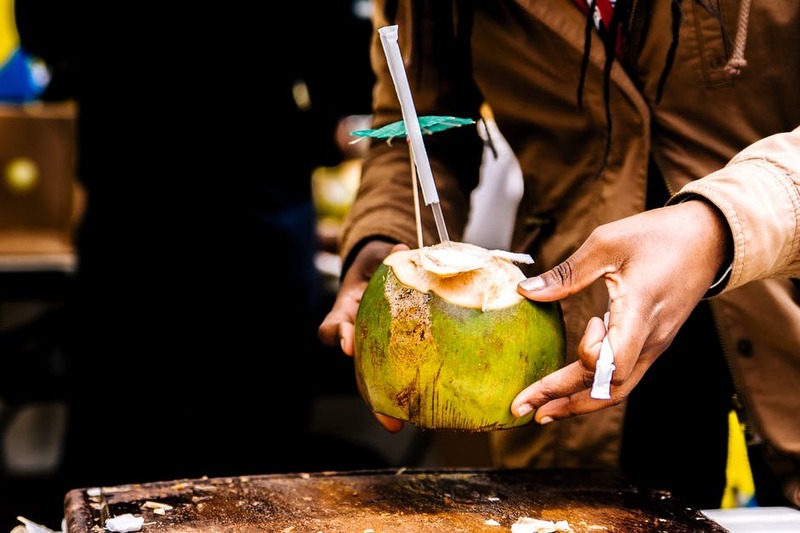 During such weather conditions, you can always opt for a better drink than water and coconut water is just perfect as it consists of minerals and electrolytes that serve as the perfect solution for dehydration. Pregnancy is a time when the woman’s body undergoes several changes. It is due to these changes that several health issues are caused. Women who are experiencing these health concerns during pregnancy can use coconut water as a remedy. Issues such as heartburn, constipation, gastritis and diarrhoea are common during this period. Therefore, it would be recommended to get into the habit of consuming this drink as it helps reduce the effects of these health problems. There are numerous benefits of coconut water as it consists of electrolytes and minerals that replenish the body’s electrolyte reserves. Moreover, it is great for those who are experiencing heart diseases and other health concerns. So, it’s time to invest in this cheap yet excellent drink that will do wonders for your health. Once you get used to drinking this, you are surely going to be addicted to this drink!